You want to take a plunge into the wilderness? Wander through the wildlife reserves of India. There is no better way to experience the wild than by visiting the following great Indian wildlife destinations. From verdant mangrove forests to desolate sand deserts, India boasts a diverse, unadulterated nature. Deep in those lush green jungles, you may spot the magnificent Bengal tiger on the prowl, the world-renowned Asiatic lion or the Great Indian one-horned Rhino. If you are wild at heart, India’s wildlife hotspots are just the things for you! 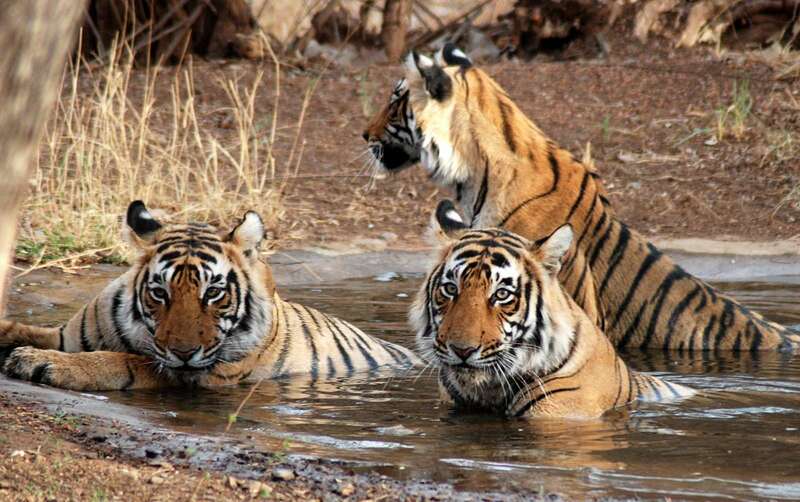 Explore India’s wild natural realms in these top 10 wildlife destinations. Ideally located in the foothills of Vindhyas in Madhya Paradesh, Bandhavgarh, one of the smallest National Parks in India, boasts the highest density of tigers in the region. Besides tigers, this wildlife preserve is also home to the elusive leopards and other animals such as deers, Sambars, wild boars and langurs. Here’s an intriguing fact about this place: Famed for being home to the white tigers, this national park formerly was the hunting ground of the Maharajas of Rewa. About 50 km from Junagadh, this enticingly uncommercial Wildlife Sanctuary is the last refuge of the Asiatic lions. The undisturbed forests of Gir are also home to over 300 bird species and 37 other mammal species. Sasan Gir is also very well-known for the co-existence of lions and the Maldharis, a religious pastoral community. Lions have been steadily flourishing in Gir and the Maldharis truly deserve the credit for it. Tucked away in the foothills of the sub-Himalayan belt in the Nainital district of Uttarakhand, this tiger reserve was built in 1936 and is India’s oldest National Park. Named after the legendary British hunter turned conservationist, Jim Corbett, this ecosphere is blessed with a huge population of Bengal tigers. Besides these, there is a plethora of commonly-seen wildlife such as elephants, sloth bears, langurs, peacocks, romps of otters and various types of deer including Chital, Sambar, hog deer and barking deer. 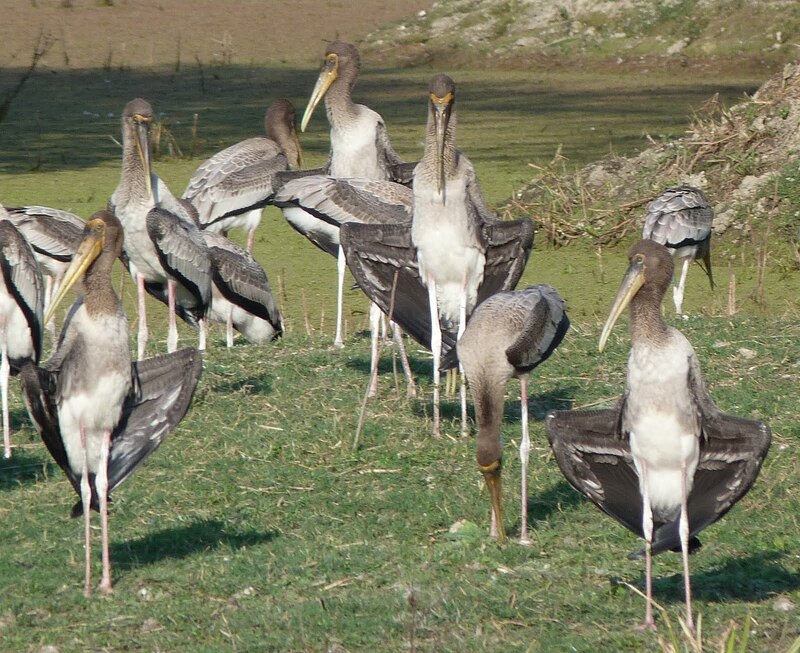 Formerly a hunting reserve for a Maharaja, the Keoladeo National Park, located in the Bharatpur district of Rajasthan, is the world’s most important avian feeding and breeding grounds. With over 360 bird species, this man-made wetland is a UNESCO World Heritage Site. What makes this park so beguiling? The wetland is a major wintering area for a huge congregation of aquatic birds: avian guests from as far as Afghanistan, Turkmenistan, China and Siberia make Keoladeo their winter home. It also used to be the only wintering site for the most endangered of bird species, the imperial looking Siberian Crane. If you are travelling from the capital city, then to add to this amazing experience, you could take the Delhi to Jaipur taxi. Jaipur, a fabled ‘pink city’ is steeped in history of the Rajputs and mustn’t be missed at any cost. You could explore Jaipur and then head to Bharatpur, a 3-hour-road-trip away. If you want to see the beasts of the jungle in all their glory, a visit to Ranthambore National Park is a must. Established as a game sanctuary in 1955 and located in Rajasthan, Ranthambhore National Park is a deciduous forest dotted with lakes and numerous grasslands. Home to many exotic wildlife species including the Royal Bengal tigers, this national park spreads over an area of 1,334 square km. The 10th-century Ranthambhore Fort, a UNESCO World Heritage site in the centre of the National Park, makes this wildlife reserve even more appealing! Lying in the floodplains of the Brahmaputra River in Assam, Kaziranga National Park, another UNESCO World Heritage Site, is famous for the great Indian one-horned rhinoceros. 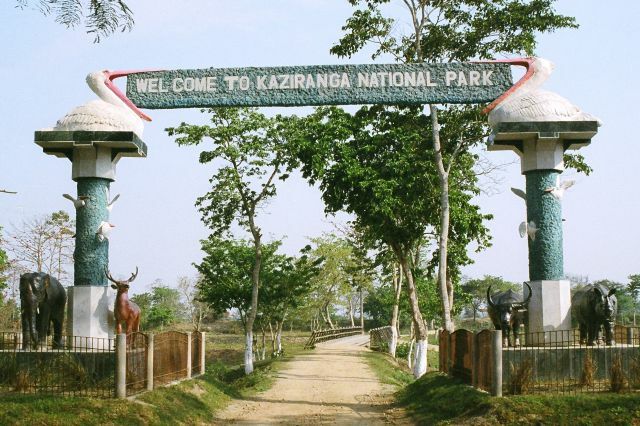 One of the things you must not miss out on doing when in Kaziranga: Exploring the park on elephant back! This is one of the best ways to spot the rhinos strolling through the tall grass. A well-known wildlife sanctuary, Periyar National Park is situated on the banks of an artificial lake- the Periyar Lake in Kerala. The wildlife sanctuary offers a one-of-a-kind forest experience. As a visitor, you can camp and raft in the forest. 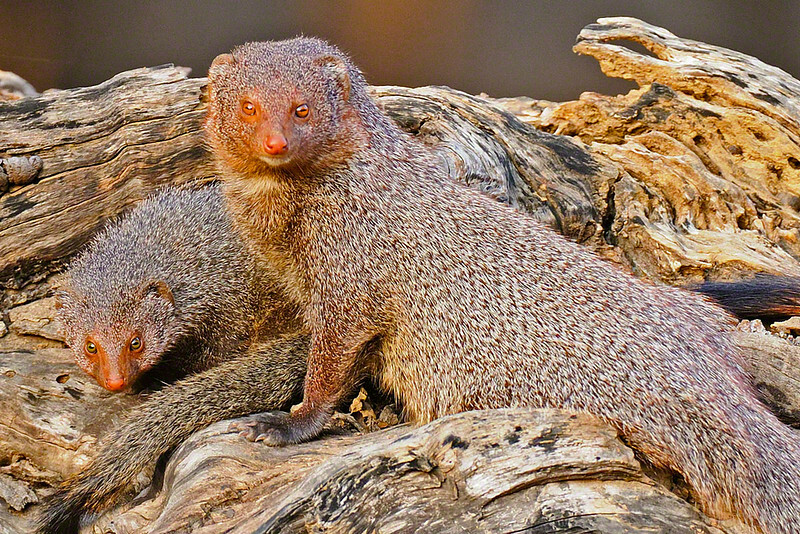 The beauty and vastness of this wildlife park will transfix and stun you in equal measure. Spotting wildlife under this bright green canopy will leave an indelible imprint on your mind. This vast region is home to herds of elephants, Sambars, Nilgiri langurs, wild boars and tigers. The largest mangrove forest in the world and a UNESCO World Heritage Site, the Sunderbans Tiger Reserve is immensely rich with mammal and marine life. The place is also home to one of the largest concentrations of Royal Bengal tigers. Away from the maddening chaos, this is a natural expanse unlike any you’ve seen before. The landscape is tricky and complicated with its intricate network of interconnecting waterways, so navigating the route via boat is the only way out. And if you want to catch a glimpse of the Royal Bengal tiger? Then you will have to perch yourself on the watchtower in the jungle. Part of the Nilgiri Biosphere Reserve, Bandipur National Park is South India’s major wildlife attraction. Home to over 100 species of mammals and around 350 species of birds, this national park is located amidst the picturesque Western Ghats on the Ooty Road in Karnataka. The national park is highly regarded as one of the best-protected landscapes for big cats. Kanha National Park is located in the heart of India, Madhya Pradesh. With its rich animal population, it has gained a lot of popularity. But what makes this wildlife park stand out is the presence of the extremely rare Central Indian Barasingha, the handsomest member of the deer family. Spotting a tiger here can be a bit challenging though. The icing on the cake, when you visit this reserve is the wholesome safari in open vehicles and the enjoyable experience of exploring this scenic location on elephant back, as these mighty creatures tread through green grass. 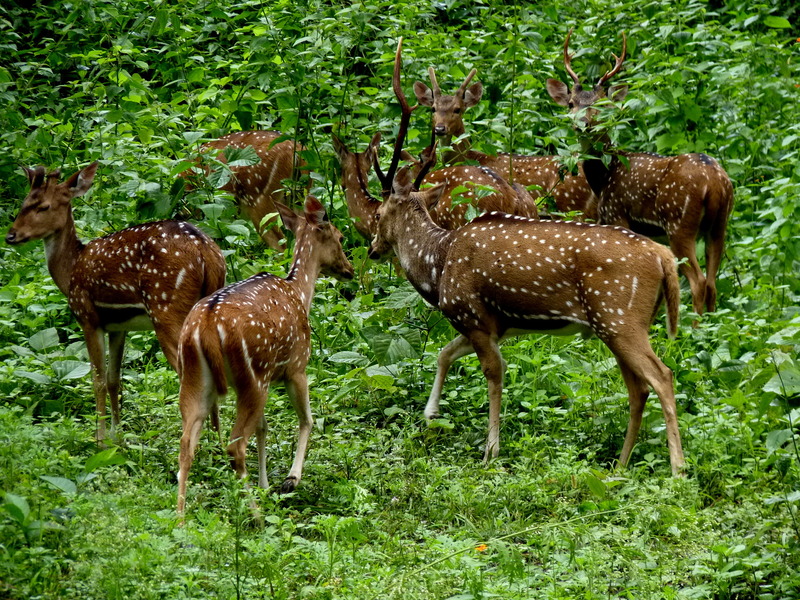 The lush green forests support exotic wildlife such as leopards, antelopes, langurs, boars, various types of deer and more than 300 species of birds. Clothed with the arresting beauty of majestic forests and their magnificent array of fauna, India is a treat for wildlife enthusiasts. So which of these destinations are you heading to, first? Eva Hines is a blogger who frequently writes about her travel and adventure experiences. She writes here on behalf of Bookcab.in.